A highly competitive market is keeping new motorcycle prices low which is great news if you are buying, but bad news if you are selling your motorbike sale. Getting a decent price for your much-loved motorcycle is very difficult. However, there are things you can do to maximise resale value. Since I haven’t done so well selling my 2012 BMW R 120 GS Rallye (only $19,900, folks! ), I have gone to the experts for advice, including RACQ technical executive manager Steve Spalding and some retailers who wanted to remain anonymous. In this first of a two-part feature, we have 10 tips for preparing your bike – and yourself – for sale. 1. Clean your bike. It seems obvious, but it is surprising how many people offer their bike for sale covered in grime. Apart from a general clean, it is important to clean areas such as under your seat where tell-tale mud and dust may deter a keen buyer. You should also ensure the battery terminals don’t have any calcium build-up and that you remove any surface rust from chrome or metal parts. It may pay to get some touch-up paint as well, but you don’t want to go too far and make it look obvious that you have patched it up, either. Read my storyon cleaning your bike for some more tips. 2. Remove most of the accessories. You may love the way you have kitted out your bike, but not everyone will. You may actually get more from selling the accessories individually on eBay than it will add to your bike’s price. Some dealers tell me that performance accessories can depreciate the price of your bike because it looks like it has been thrashed. If you sell it with accessories, make sure the original parts (eg exhaust pipes, racks, bars, mirrors) are included. Check online for what other people are offering for the same model with the same kilometres. Most people who sell privately list a high price so they can negotiate down. That just deters inquiries. Best to set an honest market price. 4. Ensure your bike is checked by a mechanic. In some jurisdictions you must have a valid safety certificate or roadworthy before you can sell the bike. But it’s also important so you have peace of mind that when someone rides off on your bike – for a test ride or after the sale – that it won’t fail on them. Also check all the basics such as battery, oil, chain and tyre pressures. 5. Gather all your documentation on ownership, finance details, remaining warranty and service/maintenance records. Buyers may want to look at these. A well-maintained bike will fetch a better price and the right documentation is great reassurance. 6. If selling privately, there really is only one option – online. No one motorbike sale in newspapers anymore and you really would have to be lucky to sell via a flyer pinned on a supermarket community (Travel Swop or Craigslist Org) noticeboard or by being parked at the side of the road with a “for sale” sign on it. The latter is also a prime target for thieves. 7. Be honest in your description of the motorbike sale and give as many details as you can including kilometres, “never dropped”, “never ridden in the rain” and how much time you have left on registration. 8. You are going to need some good photographs of your motorbike for an online ad. Photograph your motorbike against a clear background. One of the best locations is in front of a closed garage door. Take the photos outside on a clear day, mid-morning or mid-afternoon, and use the flash as well to get rid of any shadows. Photograph it from all sides and you may want to highlight some of the selling points such as the odometer showing low kilometres or the rego sticker showing plenty of time left. If you’ve owned up to any scratches or dents, photograph them, as the buyer may imagine them to be worse than you said. 9. Don’t start the bike just before a buyer arrives to inspect it or they may become suspicious about its ability to cold-start when they feel the warm engine. Once again, it’s best to be honest. However, if you have plenty of time for the bike to cool down again, it’s advisable to start it and have another last check of the battery. Have the motorbike sale vehicle transfer documents on hand when a buyer arrives. You don’t want to send away a prospective buyer simply because you can’t finish the transaction for a lack of documentation. They may get cold feet and never return! 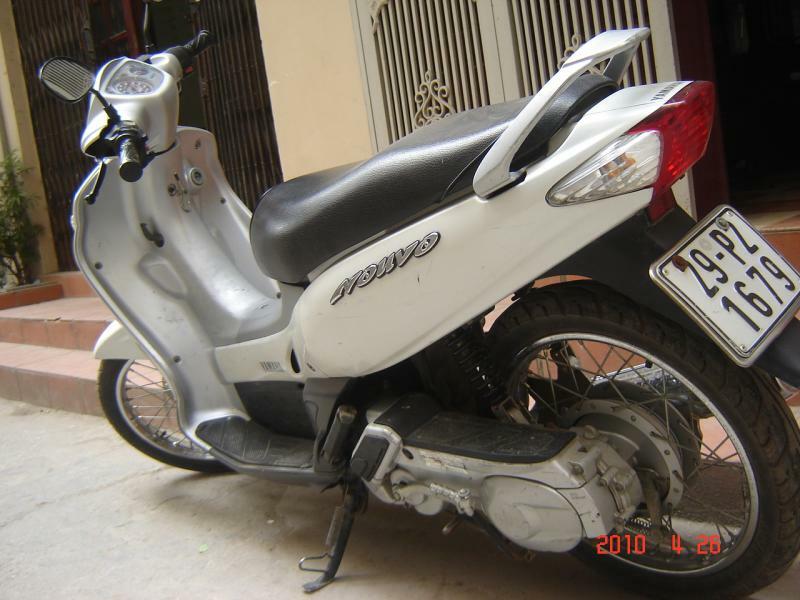 Keyword: motorbike sale, buy and sell motorbikes , VietNam.